The decision to investigate, which has not been made public, is a response to a complaint about Chicago-based CCC Information Services, according to documents obtained by WBUR. Many leading insurance companies in Massachusetts and other states hire CCC to estimate what totaled cars were worth before being wrecked or stolen. Insurers use the appraisals to help determine how much money to pay policyholders to cover the costs of replacement cars. CCC appraises a totaled car by searching dealer inventories for used vehicles of the same make, model and year. 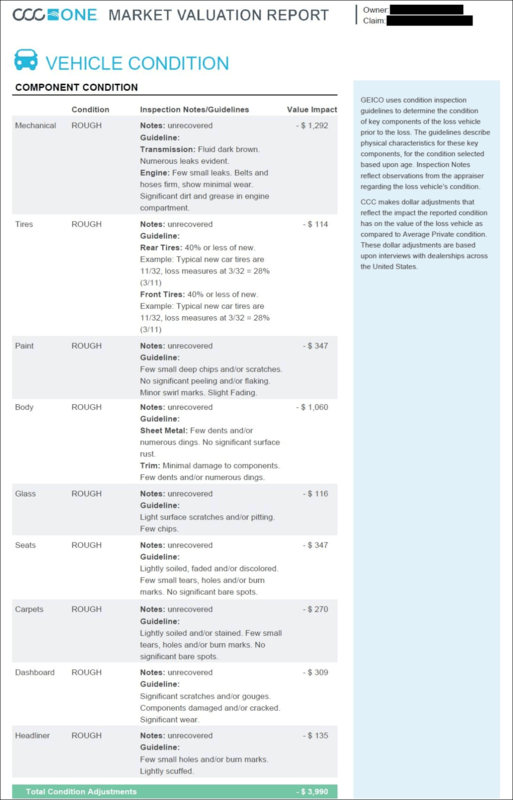 According to appraisal documents, the company uses the prices of the vehicles it finds as reference points; it then adjusts those prices up or down, weighing factors such as whether the totaled car had more options, miles, repairs or wear and tear than the comparable vehicles. In many cases, the company conducts in-person inspections of some of the comparable vehicles and the totaled vehicle. A complaint filed in August by Source One Financial Corp., a Norwell auto lender, alleges that CCC appraisals often understate car values through sloppiness or fraud, resulting in lowball payouts by insurers. In the case of a 2014 Ford Explorer stolen from an Everett man last year, for example, CCC said the vehicle’s replacement value would have been $18,542, based on the prices of comparable, used cars at area dealerships. But CCC adjusted the value down by $3,990, citing problems such as “numerous leaks” in the transmission, “significant dirt and grease” in the engine compartment and “tears, holes and/or burn marks” on the seats. It is unclear how a CCC appraiser could have made such observations; the stolen SUV was not recovered. Source One protested the appraisal, and the driver’s insurance company, Geico, ultimately raised its payout by $2,803.94. In an email to the Division of Insurance, Parsons called the appraisal the “most laughable” he had ever seen. Parsons gave WBUR months of email correspondence with the Division of Insurance. He said he has been frustrated by what he sees as a slow and secretive review process, and said he hopes that going public will move the probe forward. The Division of Insurance declined to comment on the status of the investigation, saying it does not discuss open complaints. CCC said it is unaware of an investigation by the Division of Insurance and declined to make a company representative available to discuss its appraisal methodology. Complaints about CCC appraisals are not new. In Illinois and Nevada, insurance companies have settled class-action lawsuits brought by consumers who said the insurers shortchanged them by using flawed CCC appraisals. Additional lawsuits related to insurance companies’ use of CCC appraisals are pending in federal courts in Florida, Washington and Louisiana. WBUR requested interviews with several insurance companies that rely on CCC, including Commerce, Allstate, Farmers, Geico and Liberty Mutual. None agreed to discuss their use of the company’s appraisals. In court documents in the Louisiana case, Geico defended its use of CCC appraisals, saying the valuations comply with laws and insurance policy terms. J.R. Whaley, an attorney for the plaintiff in that case, said a fairer way to appraise totaled or stolen vehicles would be to use publicly available valuations by the National Automobile Dealers Association, which are based on recent used car sales. Some insurers use a combination of NADA and CCC appraisals to determine payouts. Jane Logan, an insurance broker at Gordon Atlantic Insurance in Norwell, said insurance companies like CCC appraisals because they are generally lower than NADA’s. Logan said she has become a CCC critic since totaling her own car last year and receiving what she considered a lowball settlement. She emphasized that she spoke for herself, not Gordon Atlantic. 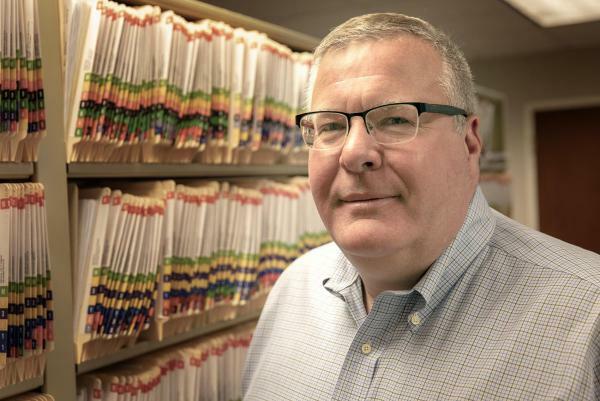 Parsons allowed WBUR to review dozens of other total-loss claims in Source One clients’ case files, which showed what he considers unfairly low CCC appraisals. He asked WBUR not to identify the drivers, to protect their privacy. 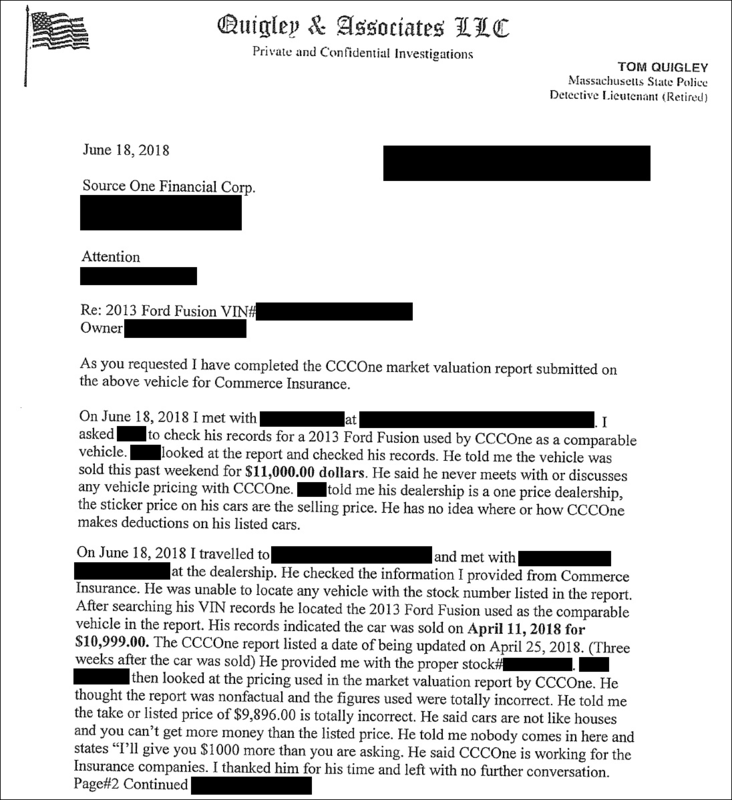 In what he called a typical example of unreasonable price adjustments, Parsons pointed to a CCC appraisal of a 2013 Nissan Altima that was totaled last year. Though the vehicle’s body, glass, paint, interior, tires and mechanical parts all displayed “normal wear,” according to the appraisal, CCC nevertheless said the car’s condition reduced its value by $907. Some of the case files include reports by Woburn private investigator Tom Quigley, a former Massachusetts State Police detective. Quigley often reported he was unable to verify information CCC used in the appraisals; sometimes, he found evidence that the information was false. 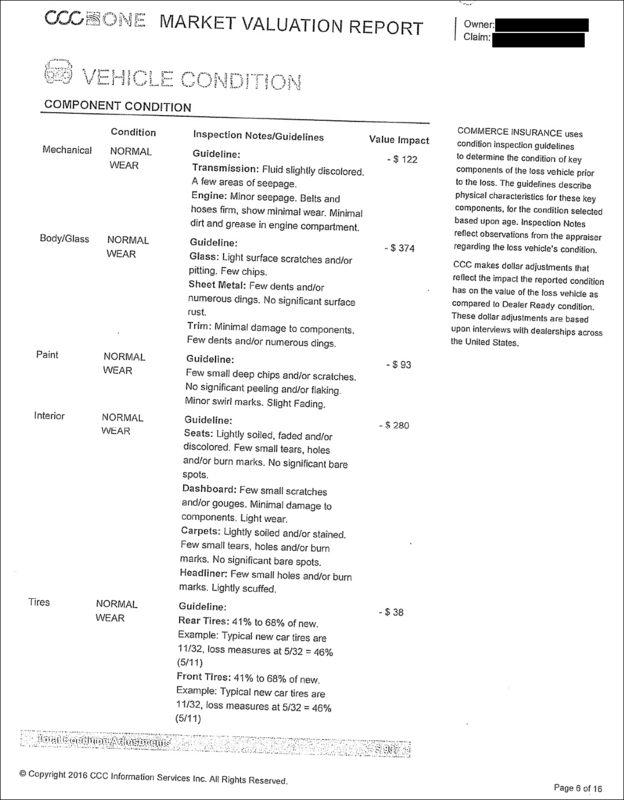 Common discrepancies involved the prices of cars that CCC used as comparisons when appraising totaled cars. In some instances, CCC said dealers revealed that they would be willing to take less than advertised prices. In such cases, CCC used these lower, “take” prices instead of sticker prices — thereby reducing appraised values. Quigley reported that multiple dealers disputed the “take” prices, saying they had not shared such figures with CCC. 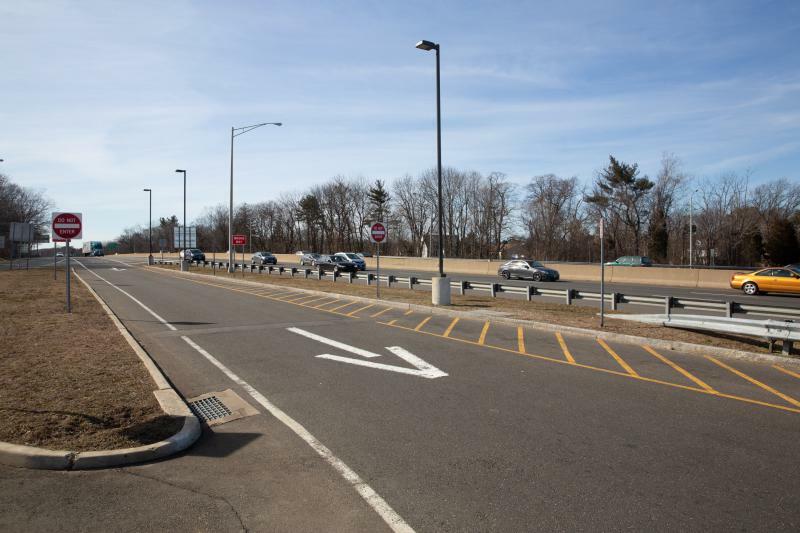 Investigating a purported “take” price of $9,896 on a 2013 Ford Fusion at a dealership in Norwood, for example, Quigley reported that the dealer called the number “totally incorrect,” and added that the vehicle actually sold for $10,999. Parsons said he filed a complaint with the Division of Insurance to protect consumers but acknowledged that state regulators may view him skeptically. In 2013, Source One entered a consent agreement with the Division of Banks in which the company paid a penalty of $32,860 and agreed to reimburse customers that the agency alleged were overcharged. Source One admitted no wrongdoing. Parsons also acknowledged personal and professional interests in the complaint he filed. When a Source One client’s car is totaled or stolen, Parsons’s company often has a financial stake in the outcome of a CCC appraisal. If the appraisal leads to an insurance payout that is not enough to cover the balance of the client’s loan, Source One may not receive all the money it is owed. “My company fights for the benefit of consumers to get the most money — hence we get fully paid, as well, so I’m not suggesting it’s altruistic,” Parsons said. Parsons added that his son received what he considers a lowball payout on a total-loss insurance claim last year because of a CCC appraisal. The younger Parsons is suing his insurance company. Are Car Insurers Making Minorities Pay Higher Premiums?